Edison Flores equalised in the 86th minute to rescue a 1-1 draw for Peru against the United States on Tuesday. But Peru – who were the superior side for most of the international friendly – managed to avoid defeat thanks to Flores, who capitalised on some poor defending with four minutes of normal time remaining at Pratt & Whitney Stadium. 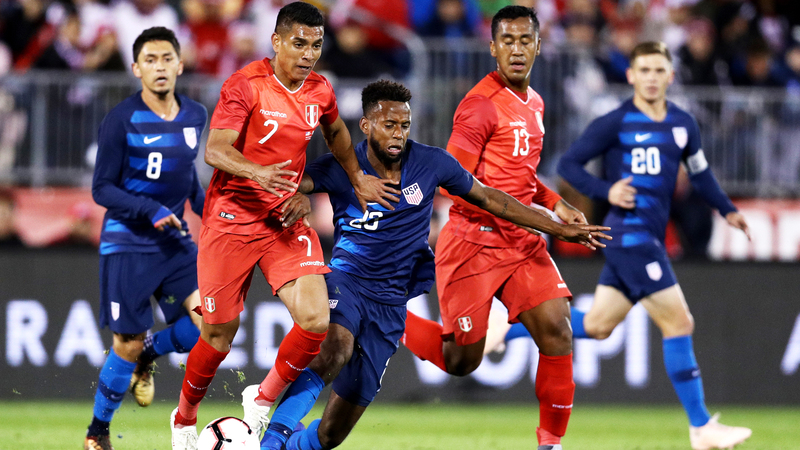 But USA's compact defence held firm, containing Peru and limiting the visitors to a couple of half-chances – an improvement on their display against Colombia, having been sliced open on numerous occasions in a one-sided opening 45 minutes last week. There was an immediate improvement within seconds of the restart – Sargent showing his strength and skill to tee up Paris Saint-Germain's Timothy Weah, who fired a powerful effort just wide of the post.